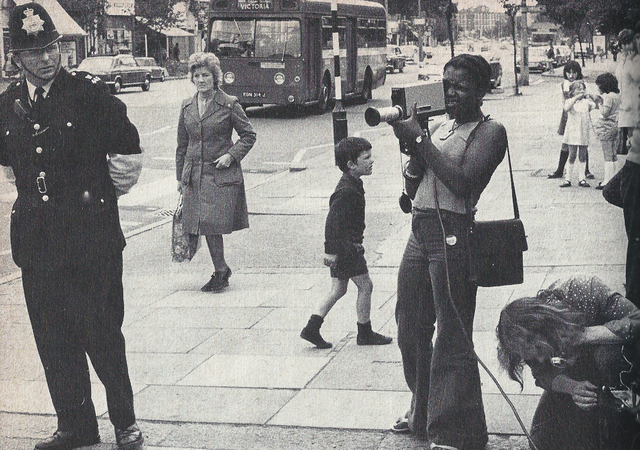 LUX Writer in Residence Ed Webb-Ingall continues to draw out the development of community video practices in London between 1968 and 1981. We did quite a lot of preparation for it in assembling source material, but if you can imagine, in those days to run Super-8 film and 16mm film and 2-inch video and a light show and a dancer and some musicians, all mixed up with bits of dialogue because there were conversations going on at the time, it was something that no-one had seen before, especially on this side of the Atlantic, which was a way to try and use the medium of broadcast TV…in a way which conformed more to art than to documentary or conventional programming. At Attenborough’s suggestion, the BBC’s Community Programme Unit (CPU) was established to make ten new programmes as part of the newly launched Open Door strand on BBC2. 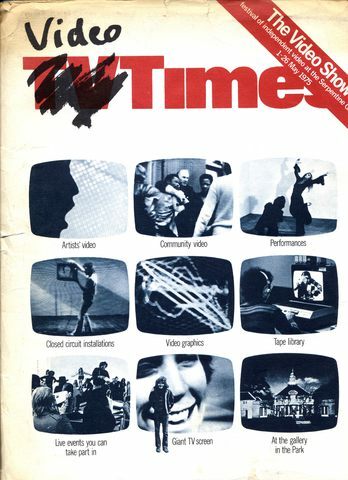 This was described in the Radio Times as a slot ‘where people and groups are given a chance to have their own say, in their own way’.9 As with open cable networks there was a focus on access and the application of newly developing portable video technology. Initially programmes made for Open Door were live studio broadcasts. These subsequently progressed to include location recording and recorded material, each approximately half an hour in length and attempting to represent the position or point of view of a specific community group, covering issues relating to current identity or social politics. In this way the CPU began to operate like a community video facilitator both approaching potential groups and receiving applications to make a programme: successful groups would then be allotted a producer and assistant as well as use of the research capabilities of the BBC and editorial control was enabled for the ‘accessee’ through every stage of production from planning, scripting, filming and editing.10 Projects produced by and for Open Door and screened in 1973 ranged from black teachers discussing the effect of the English education system on black children, the Transex Liberation Group presenting a discussion around Transexualism, The Bootstrap Union (a group of teachers and parents) discussing problems in schools in deprived areas and a meeting of the Gypsy Council with fellow gypsies, friends, and non-sympathisers for discussion, ceremonies, songs and dancing. In the same year the Conservative government granted its first license for the origination of programmes on a local television network, and over the following two years another five projects were granted permission. With this came the promise of equal access and democracy for those wishing to be represented on a medium that had previously ignored or misrepresented them. However, the social and political aims of these developments were bound up in wider governmental policies relating to the commercialisation and control of the airwaves. The first of the four networks granted permission in 1972 was Greenwich Cablevision in South-East London, following this were local television networks in Bristol, Sheffield, Swindon, Wellingborough and Milton Keynes. All but Swindon were commercially owned and driven. What proved problematic for both local cable companies and the BBC was the potential depoliticisation of activism through cooption and tokenism or instrumentalisation. On entering into these large and powerful institutions the participants ran the risk of giving over editorial control and losing the power to self represent on their own terms. By making these relatively small gestures they opened themselves up to accusations of attempting to legitimise a pervasively undemocratic and misrepresentative system. Neither the Conservative government who established the cable networks, nor the majority of staff at the BBC were making significant efforts to permanently alter the structure of the media. This relationship between community video practitioners and large institutions is one that came to define much of their activity as the 1970s wore on. 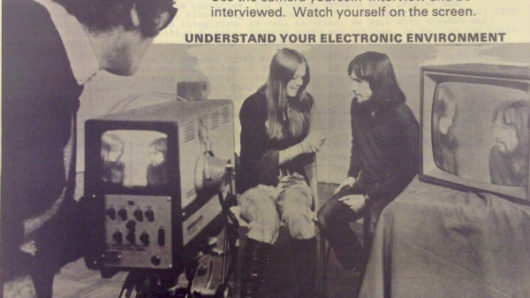 By 1974 it was clear that access to portable video technology was being used to develop new forms of self-representation and communication. Practitioners were beginning to establish different forms and contexts specific to this new medium, including those that they had previously been working outside of or in opposition to. Alongside Art Schools and television studios similar tensions can also be traced in the ongoing relationship between the Arts Council of Great Britain’s Community Arts Committee and the Association of Community Artists, the British Film Institute production board, which began funding a number of community video projects and thirdly the first inclusion of work by community video practitioners in an art exhibition as part of The Video Show at the Serpentine Gallery in London in 197514. These paradoxical or hypocritical positions were argued for due to the potential to critique otherwise impenetrable institutions from within as well as state recognition leading to sustained funding and support. Such involvement was also argued against due to the potential for community video to become repurposed as a form of social welfare, meaning the practice of community video could no longer operate as an oppositional political platform and instead would come to serve the needs of the state. 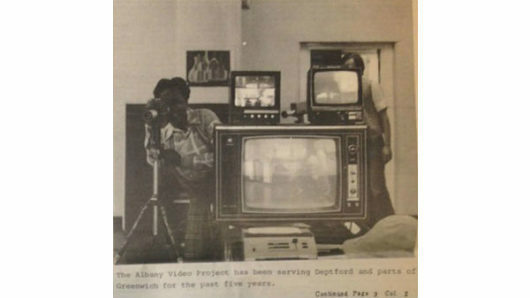 2 Many Community video practitioners in the early 1970s were using the Sony AV-3400 Vidicon Portapak Camera released in 1970 in Japan and the USA or the Sony AV-3450 which was released 2 years later at almost half the weight and shot clearer pictures with a longer battery life than the AV-3400. Although by 1971 Sony had developed and introduced the U-matic three quarter inch cassette system to the market, this didn’t arrive in Britain until two years later. The name was derived from the U-shaped figure the tape followed when seen from above. Cassette based technology allowed for greater ease of handling and editing, but community video makers in the UK did not immediately adopt U-matic technology. Hopkins and his team developed what they called ‘Trigger Happy’ editing, which enabled them to upgrade from a crude ‘back space’ system using a stop-watch and chalk to virtually frame accurate editing from half inch open reel onto U-matic. This was used up until the late 1970s when more people could afford full U-matic edit suites. 3 Spielmann, Yvonne. Video: The Reflexive Medium. Cambridge, MA: MIT, 2008. 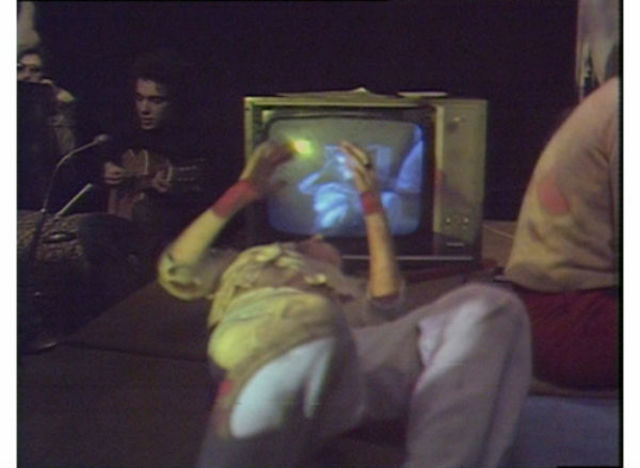 5 Video – BBC to Broadcast Video Cassette as Part of Disco 2, Friends [London] Oct. 1970 Print. 8 Quoted from Paul Bonner, “Broadcast access television and its future development”, British Broadcasting Corporation mimeo (London: BBC, 1976), pp. 1-2. 9 Giles Oakley, ‘Opening Up the Box’, in Janet Willis & Tana Wollen (Eds. ), The Neglected Audience (The Broadcasting Debate, No. 5) (London: British Film Institute, 1990), p. 16.